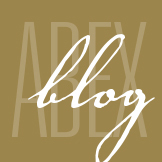 June 2014 - ABEX Affiliated Brokers Exchange Inc.
All companies should develop and maintain clear and robust policies for safeguarding critical business data and sensitive information, protecting their reputations and discouraging inappropriate behaviour by employees. Many companies already have these types of policies in place, but they may need to be tailored to reflect the increasing impact of cyber risk on everyday transactions, both professional and personal. As with any other business document, cyber security policies should follow good design and governance practices—not so long that they become unusable, not so vague that they become meaningless, and reviewed regularly to ensure that they stay pertinent as your business’ needs change. Depending on the types of data regularly handled by your business, it may also make sense to create separate policies governing who is responsible for certain types of data. For example, a business that handles large volumes of personal information from its customers may benefit from identifying a chief steward for customers’ privacy information. The steward could serve not only as a subject matter expert on all matters of privacy, but also as the champion for process and technical improvements to handling of personally identifiable information (PII). Personal breaks to surf the Web should be limited to a reasonable amount of time and to certain types of activities. If you use a Web filtering system, employees should have clear knowledge of how and why their Web activities will be monitored, and what types of sites are deemed unacceptable by your policy. Workplace rules for behaviour should be clear, concise and easy to follow. Employees should feel comfortable performing both personal and professional tasks online without making judgment calls as to what may or may not be deemed appropriate. Businesses may want to include a splash warning upon network sign-on that advises employees about the company’s Internet usage policy so that all employees are on notice. All users of social media need to be aware of the risks associated with social networking tools and the types of data that can be automatically disclosed online when using social media. Taking the time to educate your employees on the potential pitfalls of social media use, especially sites with geo-location services, may be the most beneficial social networking security practice of all. All businesses should set a policy for managing these types of risks and plan to address such incidents if and when they occur. 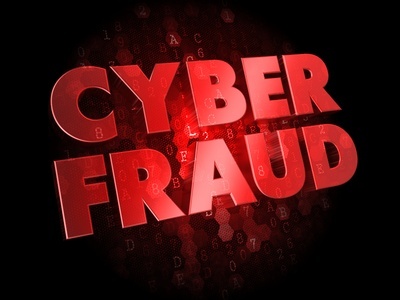 Such a policy should cover a regular process for identifying potential risks to the company’s reputation in cyber space, practical measures to prevent those risks from materializing and plans to respond and recover from incidents as soon as they occur. Precept Insurance & Risk Management has numerous sample cyber security policies available to our clients upon request. These policies are a great starting point for your policy-creation efforts and can be modified to fit the unique needs of your business. A Washington think tank has estimated the likely annual cost of cybercrime and economic espionage to the world economy at more than $445 billion — or almost 1 percent of global income. The estimate by the Center for Strategic and International Studies is lower than the eye-popping $1 trillion figure cited by President Obama, but it nonetheless puts cybercrime in the ranks of drug trafficking in terms of worldwide economic harm. “This is a global problem and we aren’t doing enough to manage risk,” said James A. Lewis, CSIS senior fellow and co-author of the report, released Monday. The report, funded by the security firm McAfee, which is part of Intel Security, represents one of the first efforts to analyze the costs, drawing on a variety of data. According to the report, the most advanced economies suffered the greatest losses. The United States, Germany and China together accounted for about $200 billion of the total in 2013. Much of that was due to theft of intellectual property by foreign governments. Though the report does not break out a figure for that, or name countries behind such theft, the U.S. government has publicly named China as the major perpetrator of cyber economic espionage against the United States. The Chinese government has accused the United States of being one of the biggest perpetrators of cyber-espionage, but the U.S. government has always objected that it does not steal intellectual property and hand it to its own industries to give them a competitive advantage. CSIS estimated that the United States lost about $100 billion. Germany was second with $60 billion, and China followed with $45 billion. In both the United States and China, the losses represent about 0.6 percent of their economies, while Germany’s loss is 1.6 percent. Japan, the world’s fourth largest economy, reported losses of $1 billion, which researchers said was extremely low and not credible. Valuing intellectual property is an art form, based on estimating future revenues the intellectual property will produce or the value the market places on it, the report said. Putting a price tag on it is difficult but not impossible, it said. Intellectual-property theft lessens companies’ abilities to gain a full return on their inventions, and so they turn to other activities to make a profit, the report states. That depresses overall global rates of innovation, it said. The report stated that countries appear to tolerate cybercrime losses as long as they stay at less than 2 percent of their national income. If losses rise above 2 percent, “we assume it would prompt much stronger calls for action as companies and societies find the burden unacceptable,” it said. The report breaks the harm into three categories, without giving figures. The largest, it said, is intellectual property theft. The second is financial crime, or the theft of credit card and other types of data largely by criminal rings. The third is theft of confidential business information to gain an advantage in commercial negotiations or business deals. CSIS used several methods to arrive at a range of estimates, from $375 billion to as much as $575 billion. Researchers looked for published data from governments around the world. They interviewed officials in 17 major countries. And they came up with a predictive model based on a CSIS report last year that estimated the cost of cybercrime to the U.S. economy. 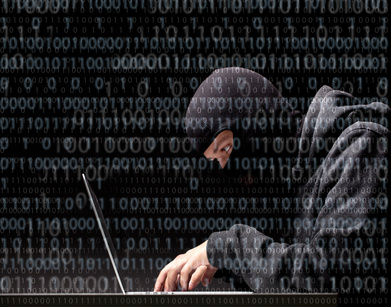 Their figures also included the cost of recovering from cyberattacks. The main assumption they used was that the cost of cybercrime is a constant share of national income — at least in countries with similar levels of development. In less developed countries, that cost is about 0.2 percent of gross domestic product, and in advanced economies it is almost 1 percent. In 2009, McAfee issued a news release that pegged global economic losses at more than $1 trillion. The figure was cited by the White House and then-National Security Agency director Gen. Keith B. Alexander. But this year’s CSIS report concluded that it was unlikely that cybercrime cost more than $600 billion, which is the cost of the global drug trade. The researchers said cybercrime and economic espionage require a response on par with global efforts to reduce drug trafficking. Besides better cybersecurity technologies, they said, governments need to devote resources to building defenses and to commit to observing existing international commitments to protect intellectual property.